This activity has been since my February 26, 2013 meeting in the back room in the Library with City Council only, and no citizens, to show my proofs in pics and e-mails from Code Enforcement for time length to be added to our parking law shown below. They would not let me speak directly before City Council on TV, because my proofs show continued illegal parking storage by commercial vehicles by Code Enforcement that they did not want voters to know about. The chief of police should be fired. The republican city council should be voted out of office. Mr. Rooter Threw Out Their Garbage AGAIN On The Neighbor's Property When They Moved Their Truck on May 9. Mr. Rooter Commercial Company Pic From June, 2012 Is Shown Separately Below. See Large View of March 30 below. It shows the branch thrown out of the back of the Mr. Rooter commercial vehicle and just left on the public sidewalk, when they moved their vehicle on March 29, 2 days after I reported the illegal parking to Code Enforcement. Stored garbage in a commercial vehicle. Private trucks in our neighborhood cannot do this. April 21 picture of Mr. Rooter branch debris from March 30. Larger March 30 picture below. Our neighbors about 2 blocks away can see this commercial Mr. Rooter vehicle through Sundance Park, which ruins the view, as one can see for themselves. They dump their trash and blame it on others. 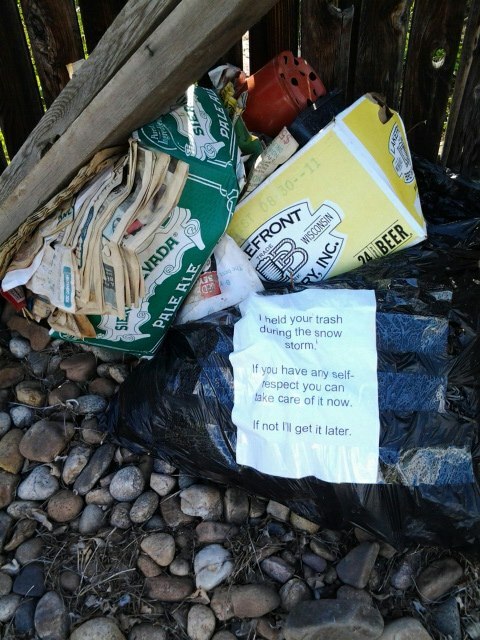 The trash was removed on 5-13-13. My daughter took this pic and posted it on FB. The last white Mr. Rooter truck is the vehicle that is constantly parked illegally in our neighborhood since May, 2012. 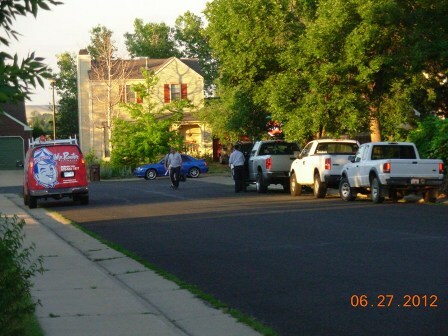 I finally got proof with a pic of them working illegally in our neighborhood on June 27, 2012 at 6 a.m..